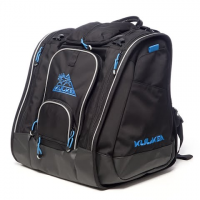 Kulkea`s Boot Trekker Ski Boot Bag is technically designedthis bag is designed for alpine ski boots helmet and gear. 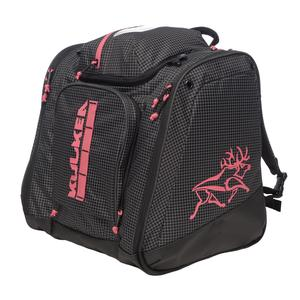 Highly compartmentalized and technically featured for organization and maximum preparedness. 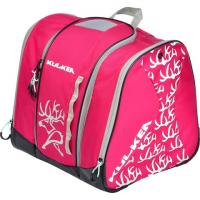 Carry all your ski gear with ease with help from Kulkea`s Powder Trekker Ski Boot Bag. 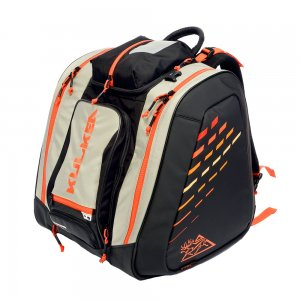 This bag features Padded and contoured adjustable Shoulder Straps combined with a padded spacer mesh back panel heavily reinforced Lifter Straps and a Sternum Strap. 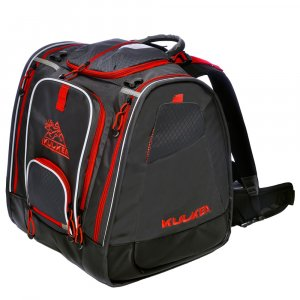 Kulkea `s Speed Pack Ski Boot Bag is an innovative front loader lightweight ski boot bag backpack for alpine ski boots helmet and gear. 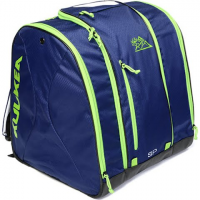 A clever Jumbo Pocket provides full visibility into the bag for easy packing and quick retrieval of ski gear. 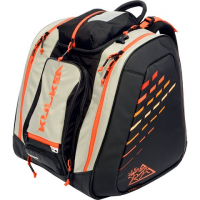 The best heated insulated and technically designed travel ready ski boot backpack for boots helmet gear and apparel. Quicker and more efficient heating. 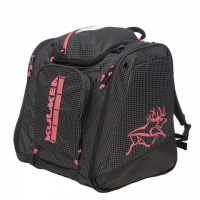 Highly compartmentalized and organized. Travel ready straps.